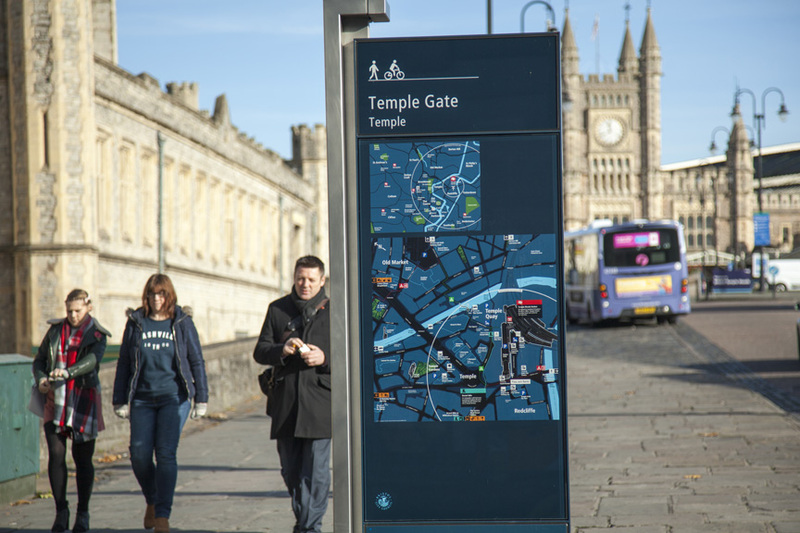 The Bristol Legible City on-street pedestrian wayfinding system was the first of its kind. The system features intuitive, user-friendly ‘heads-up’ mapping orienting the view on the map to the user’s viewpoint. The information is presented using a clear hierarchy of city, neighbourhood, street/space making it easy for the user to locate themselves in relationship to the city’s major destinations and walking routes. The system features map units at key decision points supported by linking fingerposts showing key destinations.